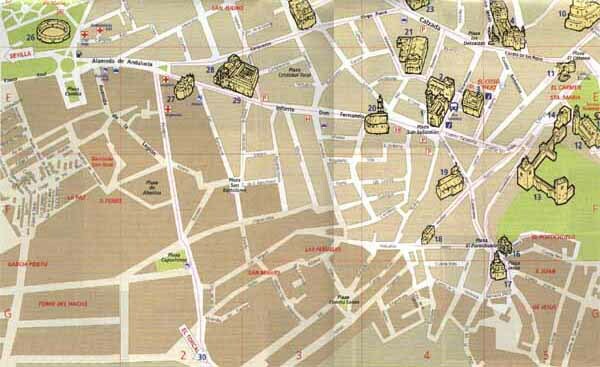 31.- Dolmens of "Menga" and "Viera"
32.- Dolmen of "El Romeral"
33.- Roman Nymphaeum of "La Carnicería de los Moros"
You cannot leave Malaga without a visit to this wonderful city of Andalucia and its many monuments. 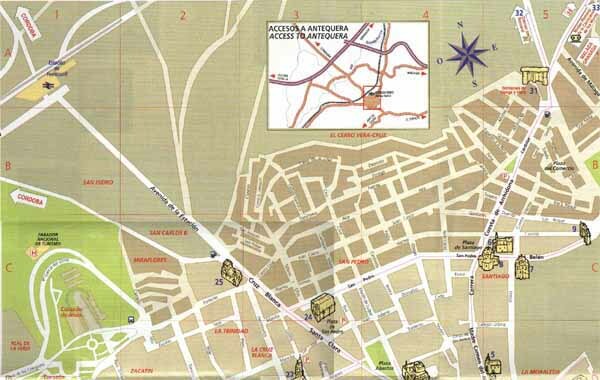 Here is located the area of Tourism of the City of Antequera and the remains of the old Muslim walls. If you love nature nothing better than a visit to this natural area located between Antequera and Archidona. This location receives the name of a legend according to which during the time of Al-Andalus a Christian and a Muslim woman threw themselves from the rock as they were unable to consummate their love. Antequera is the geographic heart of Andalusia and where is situated a red coloured column indicating the centrality of Andalusian roads along the history. Thermal Complex from Roman times you can visit when passing through the area. The Dolmen of Romeral has been built between the third and second millennium before our common era possibly as an altar to make offerings. The construction of the Menga dolmen dates from about 6000 years before our common era and given its grandeur and antiquity you cannot leave Antequera without visiting this great monument located near the Dolmen de Viera on Avenida de Malaga nº1. If you need a vehicle on your arrival, remember to check our prices for Malaga airport car hire, you dont have to pay in advance for your vehicle.